EVENT: YOUR INVITED TO GLAMOUR... WITHOUT COMPROMISE! - Live It. Do It. EVENT: YOUR INVITED TO GLAMOUR… WITHOUT COMPROMISE! the lovely Ladies on the Northern Beaches! We have an awesome event coming up. the most amazingly passionate organic hair dresser that is just up the road. colour to set, it was bliss. 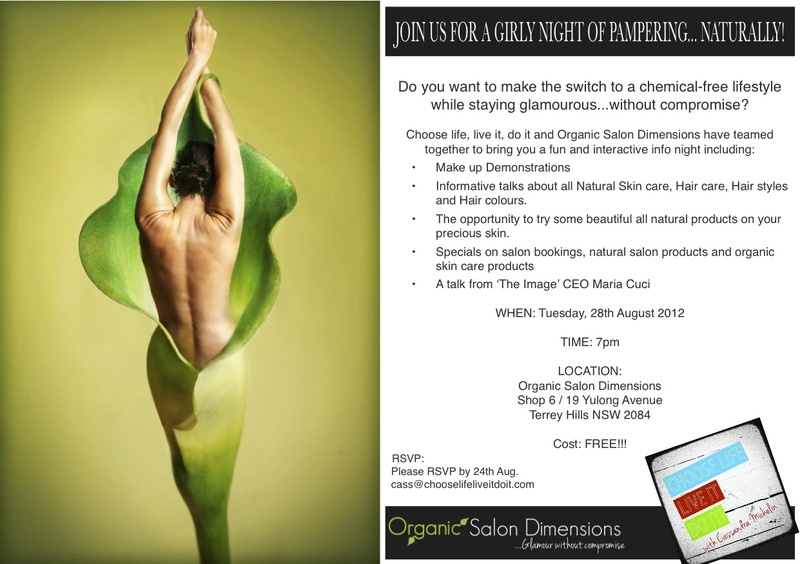 GIRLY NIGHT OF PAMPERING… NATURALLY! ingredients not to put on your skin. beautiful all natural products on your precious skin. [email protected] to confirm your place. OUR NEW LOOK… Do you love it?? ?